Southern California's source for carton flow, pallet flow & gravity conveyor solutions. Magnum is the most durable pallet flow wheel available, manufactured from reinforced resin to hold-up in the harshest warehousing conditions and under the heaviest pallet flow loads. Guaranteed with a Lifetime Abuse Warranty. Full roller and split roller pallet flow are flexible pallet flow lane options. Full roller is the most flexible for changing pallet loads, shapes and sizes without reconfiguring your pallet flow lane. Split roller is recommended for heavier, extra-wide, and unwieldy loads. 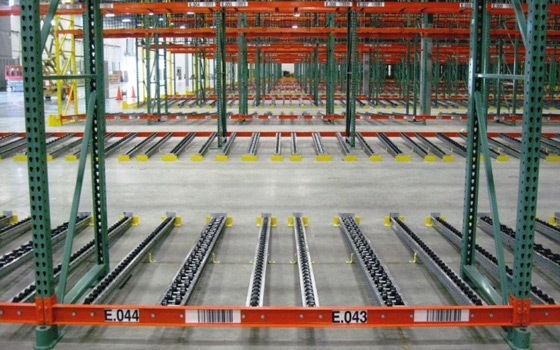 Steel skate wheel pallet flow is an economical solution for both shallow and deep-lane systems handling pallets up to 2000#. Durable, high-performance wheels are galvanized for rust and corrosion protection. Speed controllers enable pallets to stay centered and track better down the flow lane for reliable, safe, steady pallet flow. Four speed controller options are available for different lane configurations and pallets weighing 25# to 3000#. Mallard’s Pallet Flow designs are engineered to perform and manufactured to last! With custom solutions for ALL applications, from economical shallow depth pick module systems to the most challenging deep lane flow systems in harsh environments. Choose from a variety of system types to meet your unique pallet flow rack and application requirements; Full and Split Roller Pallet Flow, Heavy Duty Magnum Wheel and Skate Wheel. Mallard is the only pallet flow manufacturer to offer a variety of speed controller capacities, uniquely designed for your product weight ranges vs a ‘one size fits all’ solution. 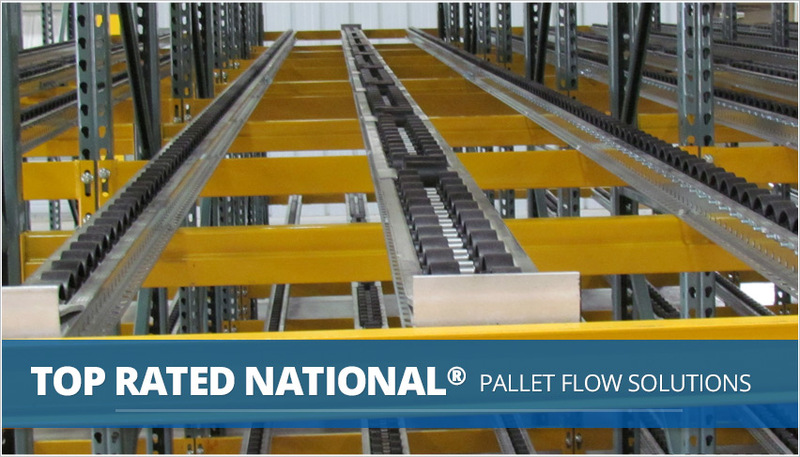 At your request, we’ll review and test your pallet flow rack system in our lab to ensure positive rates of flow for the long haul. We’ll examine pitch, pallet quality, quantity and spacing of speed controllers as well as wheel configuration in each lane. We’ll provide a testing video to ensure 100% customer satisfaction.